Abstinence versus recovery. If you have a loved one who's stopped gambling, whether after attending GA meetings, or undergoing in-patient or out-patient care, this will likely be a question that's on your mind regularly, if not daily. All of us have heard stories of people who have abstained from gambling for many years, and even multiple decades, only to ultimately relapse. Whether it's a small relapse, or a larger recurrence than ever before isn't really all that important. It's that looming question that can haunt even when we don't see any of the obvious signs. 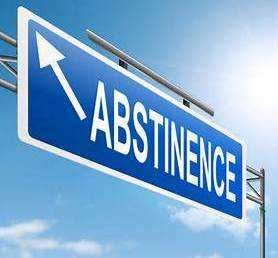 Dr. Mitchell E. Wallick (Ph.D. CAP CAGC), Executive Director of Professional Training Association @ CARE, was kind enough to provide the following article regarding the topic of abstinence versus recovery. While it doesn't provide a black and white means of knowing whether our loved ones are in a stage of abstinence or real recovery, it does provide an insightful, and very logical perspective. Thank you Dr. Mitch! In medicine we use the terms signs and symptoms. Signs are what we can objectively see. Symptoms are what the patient tells us. We all know that part of the disease of addiction is a bending of the truth through rationalization. It is for this reason that we are unable to sometimes trust what the gambler is telling themselves and/or others. In the field of addictive diseases we tell our patients, “treat your mind like a bad neighborhood. Don’t go in there alone”. Increased financial dealings. Shopping, running up credit cards etc. Excessive interest in events or other things on which they gambled. Obviously the most conclusive signs of relapse are catching the person gambling. Larger than usual credit card bills. Recovery is the return to a quality of life. This is something that the compulsive gambler must judge for themselves. Recovery is a very personal issue. While it is possible for others to clean up, the actual act of deification is one that a person must do for themselves. The second thing to remember is that although addiction is a disease, the individuals having the disease are responsible for managing it. And the list goes on… and on… and on yet again. One way to tell if the person is recovering is to look at actions. Absolute and complete honesty will eventually result in a return of trust. Finally there is no such a thing as a brief relapse. SLIP stands for "Sobriety Loses Its Priority." None the less the key to recovery is to pick up the pieces and begin again.